July 4th in Hawaii can truly be BANANAS — it’s a big holiday for most of us here, and we like to start our party early and end our party late. The fireworks are huge, the BBQs are delicious, and the mini tent-cities erected to commemorate a day at the beach are insane. Start Early: Most Hawaii visitors from the mainland are getting up early anyway (thanks to jetlag). So, take advantage of the time-difference, and stake-out your claim at the beach early. If you’re on Oahu and plan to watch the Ala Moana Beach Park fireworks display, you may consider getting there as early as 6 a.m. to get a prime spot on the beach (some locals will already be there). Since you’re unlikely to have a full tent, BBQ grill, tables, etc., you can probably secure a good place up by the water without blocking anyone’s view. The downside? Spending 14 hours at Ala Moana Beach Park is quite a committment — make sure you have all your supplies on-hand when you arrive. One way to escape the crowds at the beach? Head-out for a hike instead, perhaps to the Makapuu Lighthouse Trail. Take a Taxi/Uber/Lyft: If you plan to view the 4th of July in Hawaii fireworks on the beach (Ala Moana Beach Park, Kailua Beach, Turtle Bay, or Pearl Harbor on Oahu), you have a big advantage over us locals: You probably don’t have all the “gear” to schlep around like us locals who are expecting 20-30 people to join up for lunch/dinner on the beach. If you’re traveling light (have only a beach umbrella, toys, beach bag), you can take a taxi, Uber, or Lyft and save yourself the hassle of trying to find parking. If you plan on foregoing the fireworks, but want to view a parade, like Kailua’s annual 4th of July parade, it’s still a good idea to take alternate transportation — parking is a nightmare. Consider an Alternative to Fireworks/Parades: The vast majority of locals will take this “vacation day” and head to the beach with their families to watch fireworks displays and see the parades, and that’s good news for visitors who may want to take advantage of other activities. 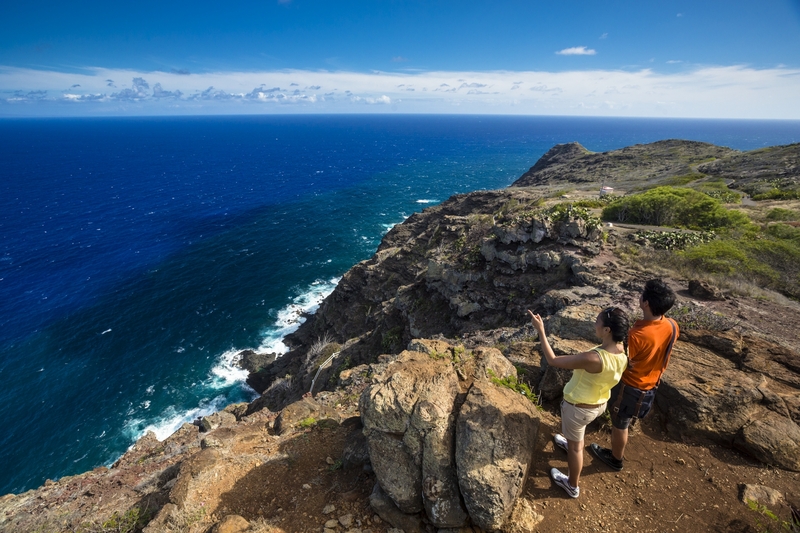 It’s a great day to take a hike at Manoa Falls or the Makapuu Lighthouse Trail. Or, maybe you want to take advantage of Ala Moana Center for some shopping. Even better? Take the day to explore the Childrens Discovery Museum, see a movie, or visit a historical venue (if open). Or, book one of the many Hawaii activities available through Hawaii Aloha Travel. For example, you can take a Kauai Ziplining Adventure, a Big Island helicopter ride, or hike Haleakala. If you hate crowds, steer AWAY from the beaches, especially the beaches that host fireworks. 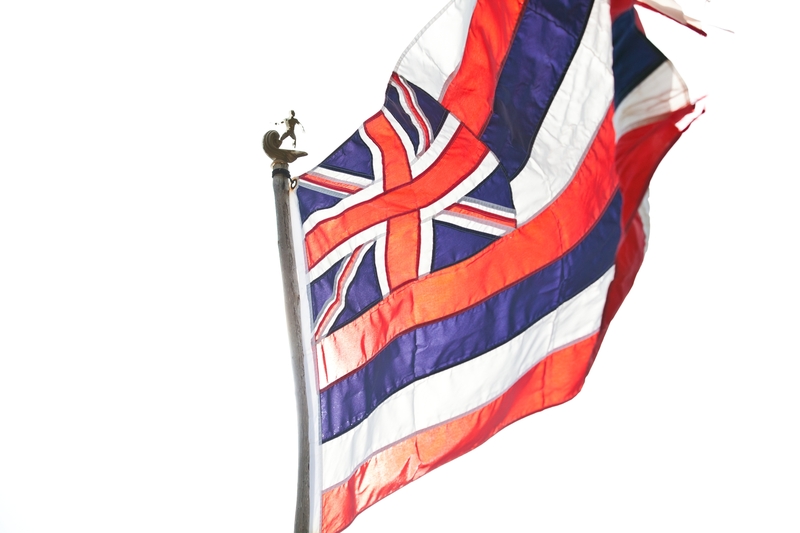 For some in Hawaii, July 4th is a day that commemmorates the illegal takeover of Hawaii by the United States. So, it's important to be sensitive to the Hawaii culture on July 4th. Learn About Hawaii History: One of the things that will make your July 4th in Hawaii experience even better is knowing a bit about Hawaii’s history. Of course, we all know the day commemmorating the adoption of the Declaration of Independence, declaring that the thirteen American colonies regarded themselves as a new nation, the United States of America, and no longer part of the British Empire. However, on July 4, 1894, another important thing happened: The provisional government proclaimed the Republic of Hawaii with Sanford B. Dole as President. For many in Hawaii, the day marks the beginning of a mutually-beneficial relationship with the United States. However, some in Hawaii regard the day with sadness and mourn the day when Hawaii lost its independence. You can’t go wrong when you spend July 4th in Hawaii — there’s so much to do! But, be smart, and know that thousands of locals will be out enjoying the holiday, too. So, take our tips and advice to make the most of this American holiday!